Under account settings you will find User Accounts, My Profile and My Subscription. 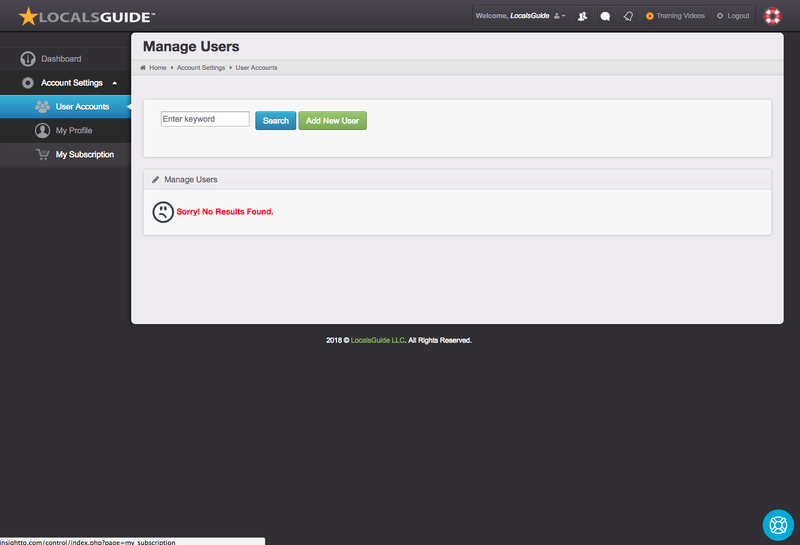 User Accounts – Add editors to manage your guides here. 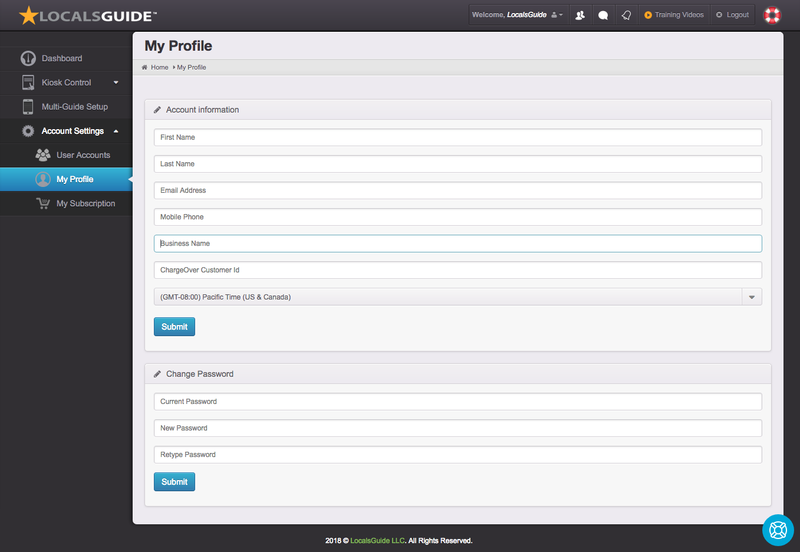 My Profile – Manage all your account profile information here. 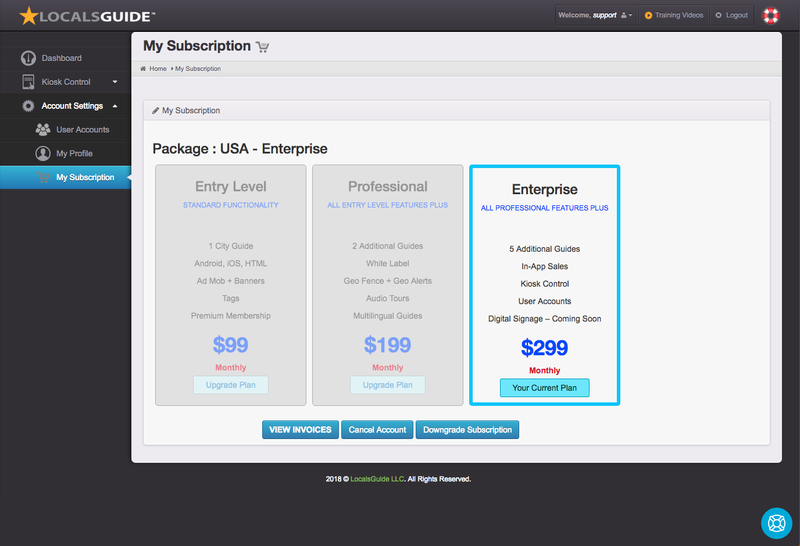 My Subscription – View current invoices and billing information here. Upgrade / Downgrade / Cancel your Account here.